w-inds. 2001-2018 complete catalog now streaming. 17 years of "w-inds. and me." 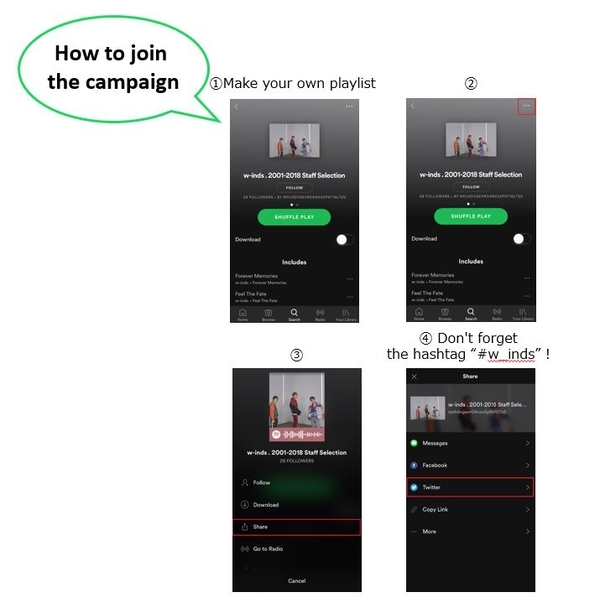 Create your own playlist campaign. To commemorate the start of streaming of all catalogs on Spotify, we are hosting a w-inds. playlist competition. The winner will receive an audio message from w-inds., that will be recorded exclusively for your playlist. Members of w-inds. will choose their favorite plalyist among all the posts on Twitter. 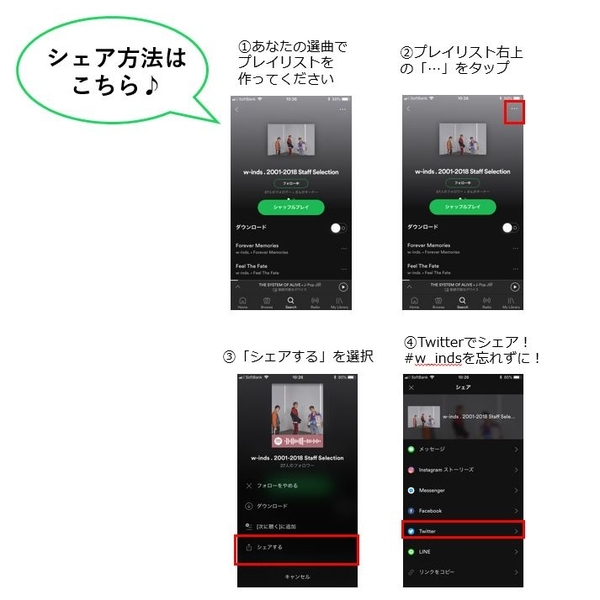 Choose songs and make playlists from w-inds.' entire catalog. Choose any song, any topic and name the playlist as you like. No limits to the number of songs, and of course they can be in any order. After creating a playlist, go to the playlist, click on the … button and select "share," then post on twitter. For instance, you can select 20 songs from their early years naming it "w-inds. songs that'll take me back to the high school years,"
Spotify will inform the winner via a DM from on Twitter around July 11th.